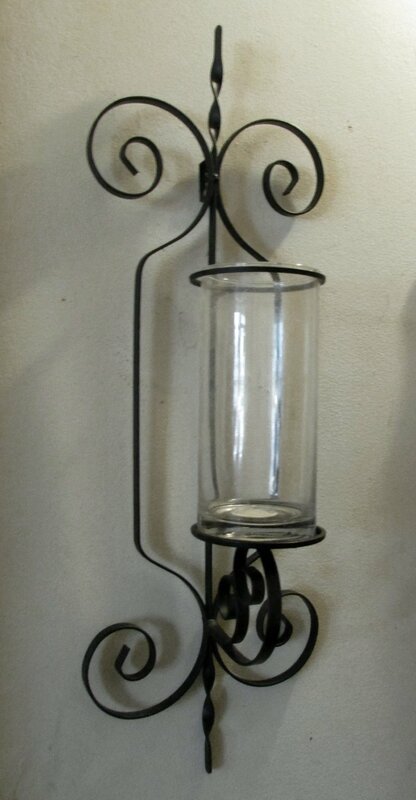 Wrought Iron Wall Sconce with glass hurricane candle holder / vase for indoor or outdoor use. 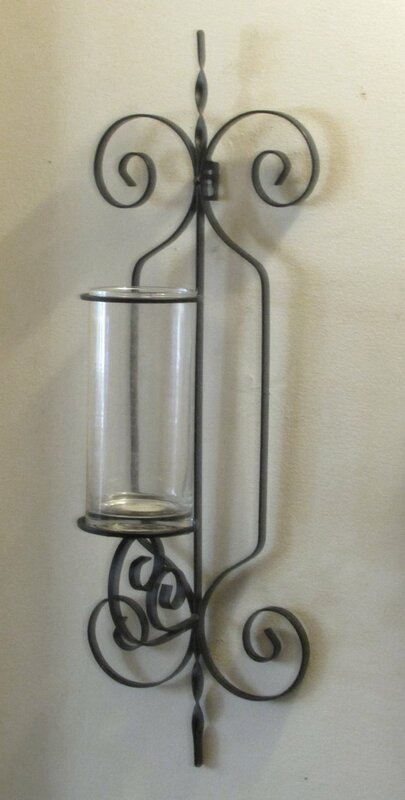 Unit measures 26 inches tall x 9 inches at it's widest point. Glass insert sits on base. 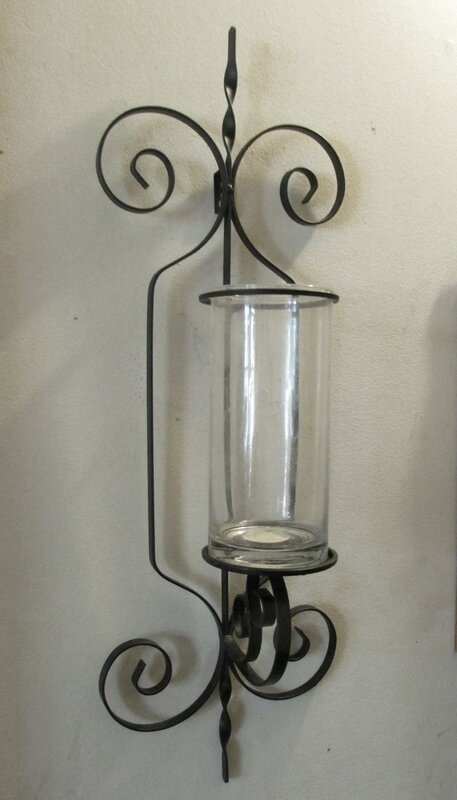 Wrought Iron Wall Sconce with glass hurricane candle holder / vase for indoor or outdoor use. 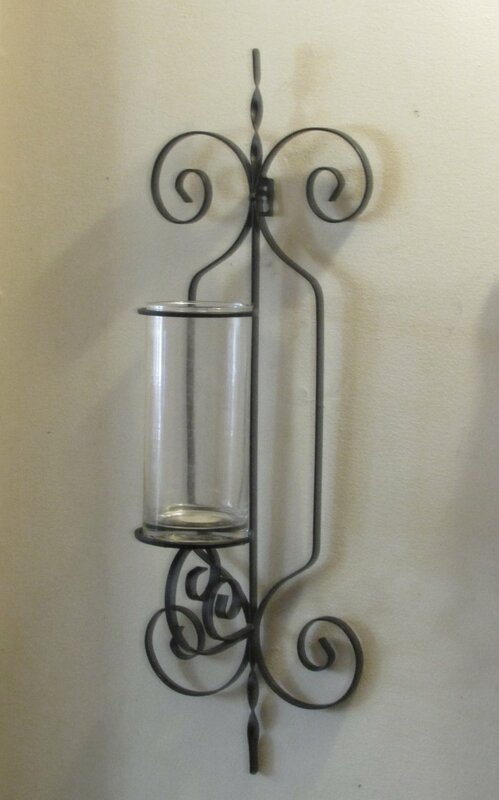 Unit measures 26 inches tall x 9 inches at it's widest point. Glass insert sits on base. May be vintage Home Interiors. 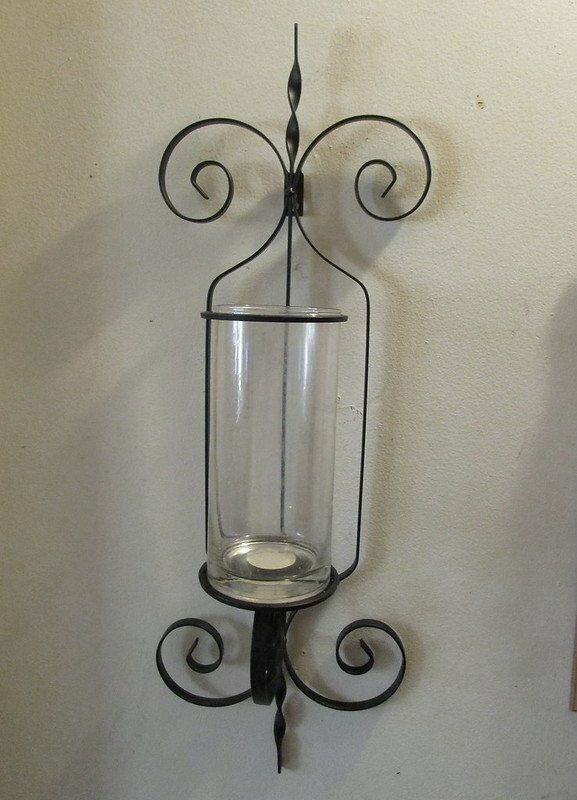 This item has been a display set, but never used. Each sconce is sold individually. 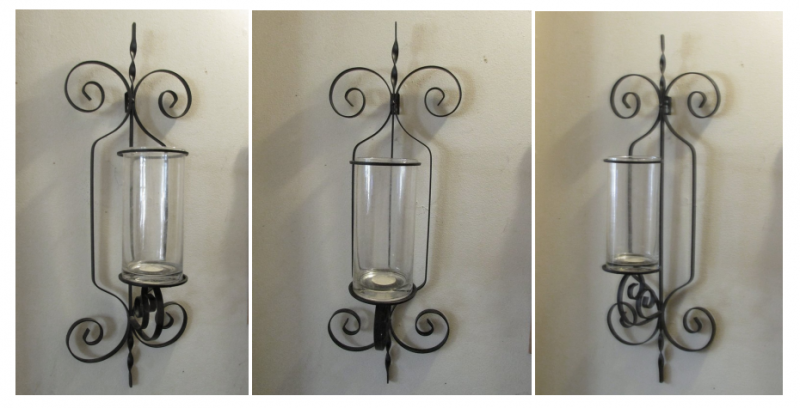 At time of listing, 2 sconces are available. You may email us if you need assistance as well. Thank you for your interest and your patronage!